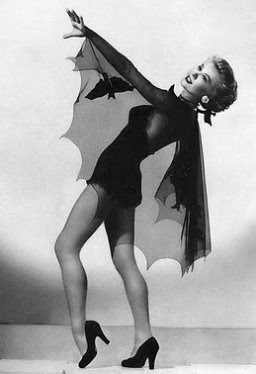 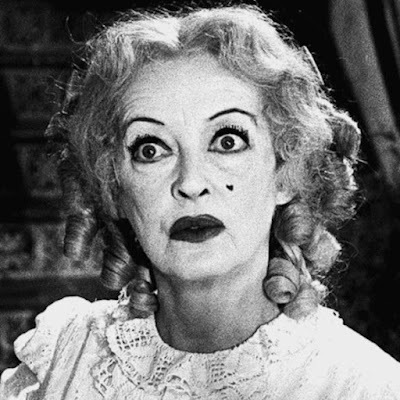 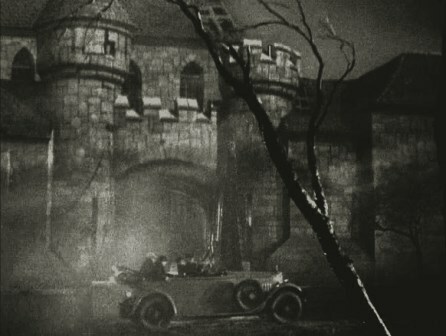 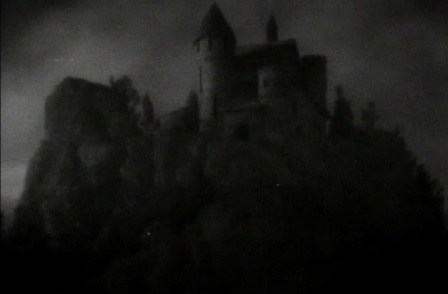 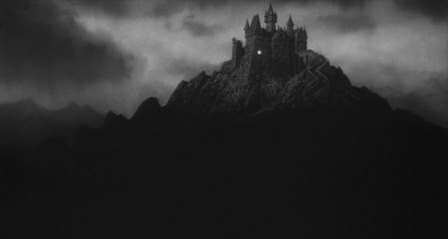 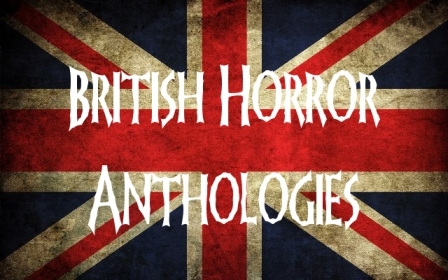 Filming on location can be expensive and before the days of digital special effects filmmakers had to be inventive, so they employed the artistic talents of landscape matte painters to create the haunted houses, ancestral homes and creepy castles that are an essential feature of horror and the Gothic. 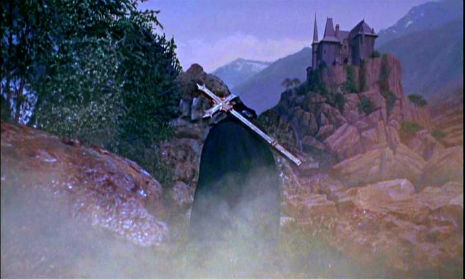 Roger Corman is a director who made extensive use of matte landscapes, particularly in his Poe cycle of films, Corman was also notorious for recycling previous film footage reusing them in his different movies. 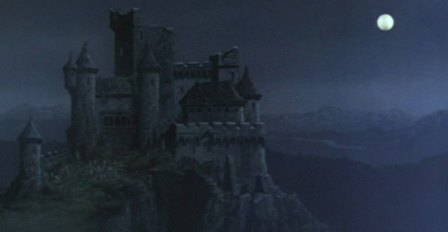 Tales of Terror featured three Poe stories, Morella, The Black Cat and The Facts in the Case of M. Valdemar, this painted landscape coming from the story Morella. 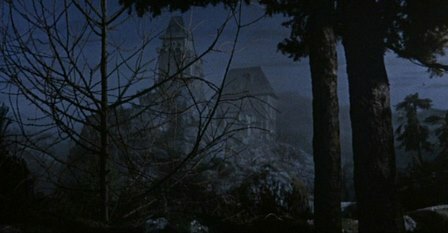 Corman reused some of the sets and scenes from his previous Poe films in Tales of Terror like footage from House of Usher in the fiery climax. 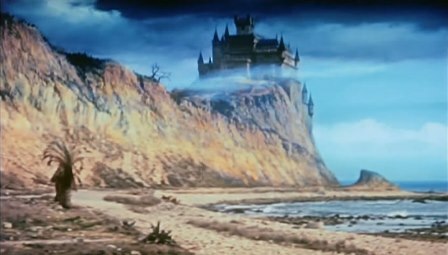 Hammer were another production company that made good use of matte painted backgrounds, not surprising considering nearly every Hammer movie had a castle or a manor house.